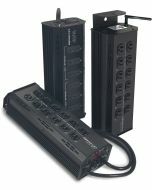 Intended for use with Leprecon's ULD-Series Wireless Dimmer Packs. 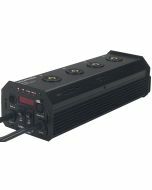 Also works with other Leprecon W-DMX units, or compatible Wireless Solutions W-DMX partners. 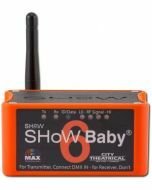 For general wireless DMX transmission, take a look at City Theatrical's SHoW Baby instead. Unfortunately Leprecon wireless is not compatible with City Theatrical's SHoW DMX range of wireless DMX products.